First of all, I want to thank each and every one of you for all of your fabulous comments and well wishes on our one year “blogaversary”. And now… Drum roll please…. We have a random WINNER for the Susick Sea Shell Sifter October GiveAway! And the winner is…… CShells! Congratulations CShells! I’ll be getting in touch with you to get the scoop… on getting you the scoop. I had lots of comments asking where to buy one of these sifter scoops if you didn’t win. The only place I know for sure you can get one (where Clark got his) is through their website …. click on SeaShellSifter.com or click on the picture of the scoop on the left side of this blog page. It will link you to their website too. This is so much fun to give back to yall for sharing this shelling experience with me…. I hope to do it again next month with giving something else. Hmmmm. I’ll have to think what it will be…..So stay tuned! I ordered one for my shelling buddy Linda for her birthday and 3 days later it was at my door. Its very light and came completely assembled. Now we just have to hit the beach! Thank you, thank you. I thought if I didn’t win I would order one when we get back. I’m starting to feel lucky, maybe the luck will continue with my shell finds. Maybe your husband Clark can give me a few lessons. We’ll be there the evening of Oct. 31st. Thank you again. Congratulations to CShells! What a great prize! Congrats to the Sifter winner. Went to the website and bought one of their sifters and it was here in 2 days. Great people to deal with and the sifter is really good with the sharks teeth! We ordered two and they were delivered very quickly! Can’t wait to use them. Congratulations CShells from the team at RES Creations! We hope you enjoy using your new Susick Sea Shell Sifter! Many thanks to Pam and Clark for introducing our product on their website. It was overwhelming to see such a great response to your give away. All of us here enjoy your shelling tips and videos. Happy Anniversary. 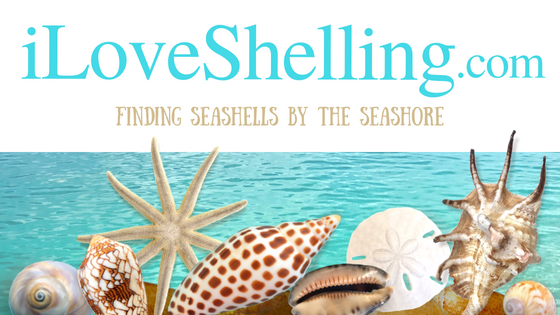 We look forward to many more interesting and fun shelling information from you! I had already put it on my Christmas list but we still might have to order another one, my husband is very competitve when it comes to finding the best shells. Last year he probably found better shells than me but don’t tell him I said that. Thank you again. Very cool. Congrats by the way, you are on page 2 of google for the keyword shelling. That is very impressive. Keep up the good work and you will rise to page 1, number 1. To my crackerjack shell collector shark tooth raker friend….thank you for my birthday gift….I love it….and can’t wait for us to go try it out….Love you….too ! Thanks Pam….great gift ideas…..